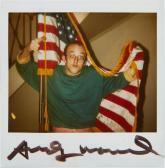 Find artworks, auction results, sale prices and pictures of Andy Warhol at auctions worldwide. 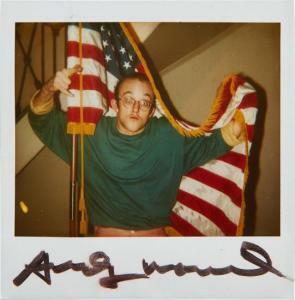 PROPERTY OF A PROMINENT NEW YORK COLLECTORAndy WarholFollow Keith Haring signed "Andy Warhol" lower edge; further signed and dedicated by Keith Haring on the reverse of the backing board; further signed and dated by Oswald "OSWALD 88" on the reverse of the frame unique Polaroid photograph 4 x 4 in. (10.2 x 10.2 cm.) Executed in 1986. 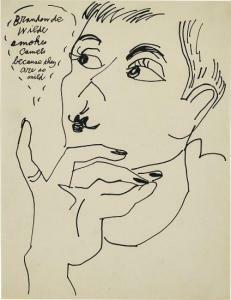 Andy Warhol - Brandon de Wilde Smokes Camels because they are so Mild titled 'Brandon de Wilde smokes camels because they are so mild' upper left; further stamped with Andy Warhol Art Authentication Board, Inc. stamp and numbered 'A123.969' on the reverse ink on paper 27.9 x 21.5 cm (10 7/8 x 8 1/2 in.) Executed circa 1980. 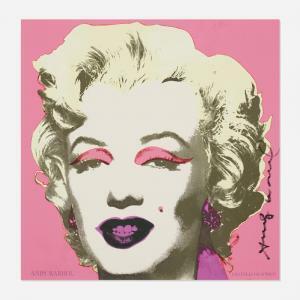 Andy Warhol Marilyn (Castelli Mailer) 1981 offset lithograph on paper 12 h × 12 w in (30 × 30 cm) Signed to right margin 'Andy Warhol'. 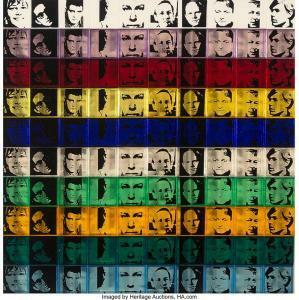 This work is from the edition of unknown size printed by Colour Editions, Inc. for the exhibition Andy Warhol: A Print Retrospective 1963-1981, 21 November - 22 December 1981, Castelli Graphics, New York.ConditionRight edge of sheet shows a minute amount of erosion to pigments from contact over time, with losses visible under close scrutiny. 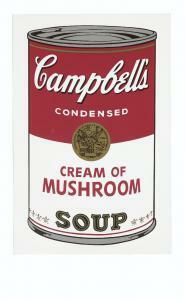 Pigments have attenuated over time. Good condition. Unframed.